This is for all quinoa lovers or who is trying to include quinoa in the diet. People who doesn’t know yet, quinoa is a good protein source, has complete protein meaning it has all 9 amino acids. Enough of technical knowledge, isn’t it? Recipe is simple as usual. Saute onion, garlic , green chilli in your choice of oil for a min or 2. 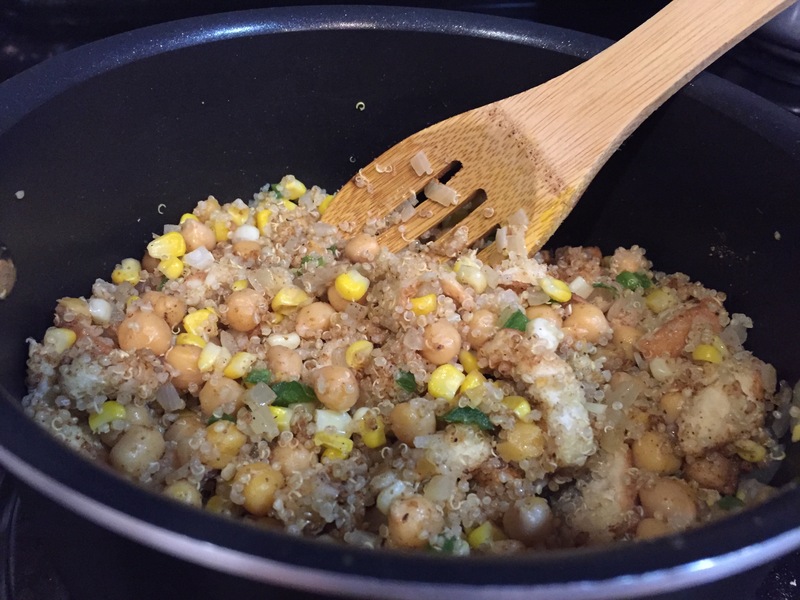 Add some cooked corn, chickpeas, cooked quinoa, few torn bread. 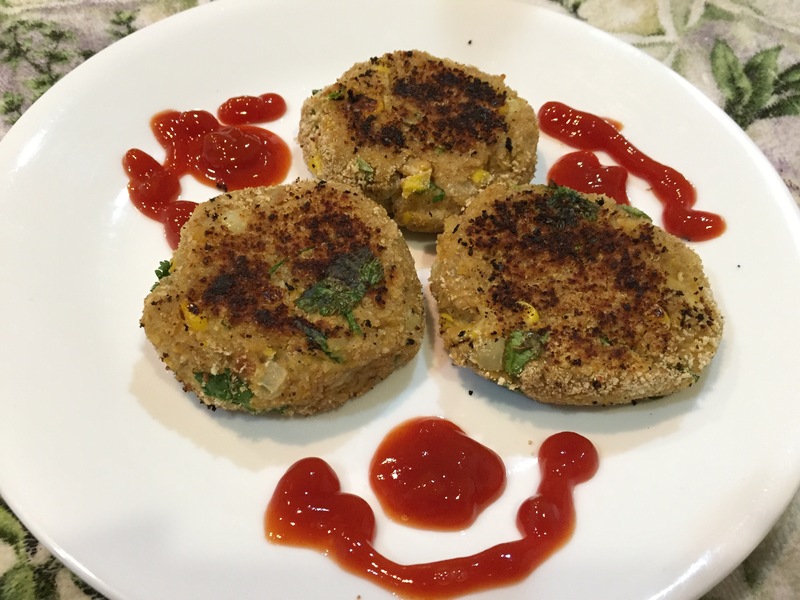 For 1 cup corn, 1 cup chickpeas, 3/4th cup quinoa, used 2 bread slices. Add some crushed red pepper, garam masala, chat masala or lemon juice, salt. Use whatever spices you like. Mash everything with potato masher or process in food processor. Add some chopped coriander leaves or parsley. 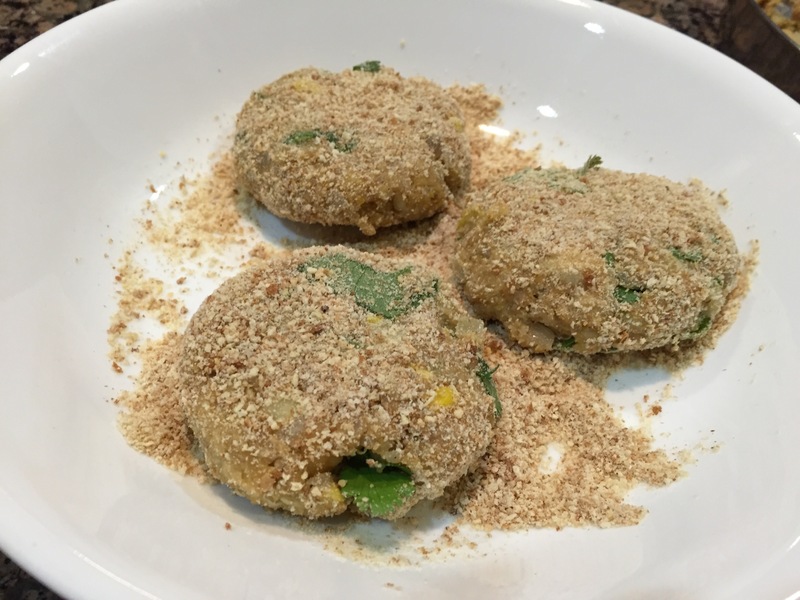 Make tikkis from it, cover with bread crumbs and shallow fry. You can have it a snack with ketchup, chutney or you can use it as a burger and assemble a burger using tomato, onion, lettuce. It’s very filling and of course delicious. Mixture on its own also tasted very good. This entry was posted in Sandwich, Snack. Bookmark the permalink.